Sushi food is very popular business thread in 2019. So open a sushi kiosk in mall definitely a profitable ideas. here blow a nice sushi kiosk design with Japanese traditional concept elements in it. 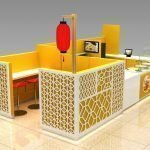 Unique is a experienced mall kiosk manufacturer in China. 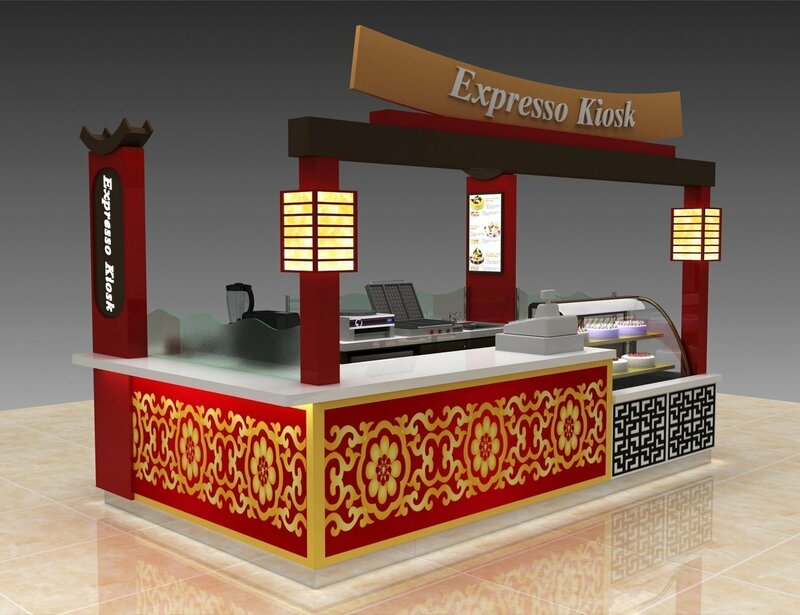 We specialized in fast food kiosk designing & manufacturing. 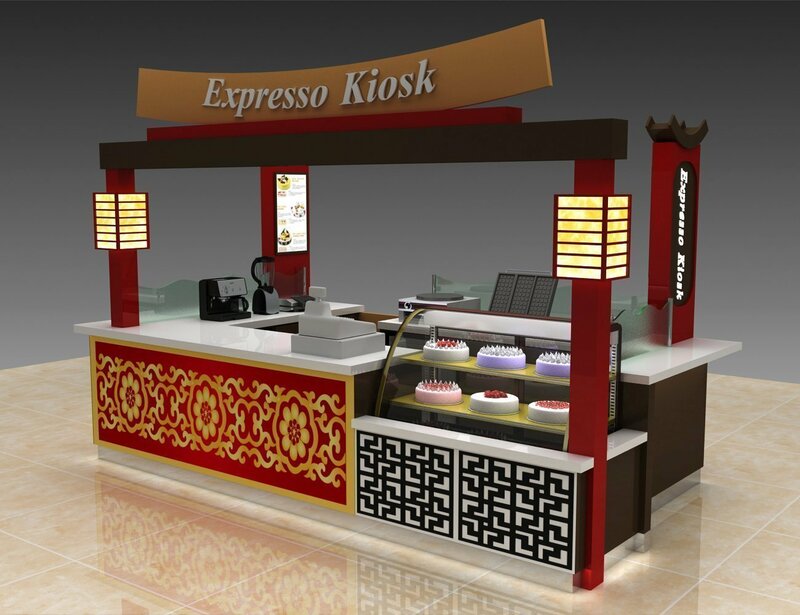 We can design a mall food shop with your customized ideas , materials & size. If you like the kiosk design blow and want to adapt into your brand with a custom size and color. Unique will be your best parter. Not every kiosk design can be called a good concept kiosk ideas. But this kiosk design can do. With a big red color as main basic color. We use yellow light to bring a lighted light box and Manu. traditional textures on front bar counter and side display cabinet create a unique feeling . 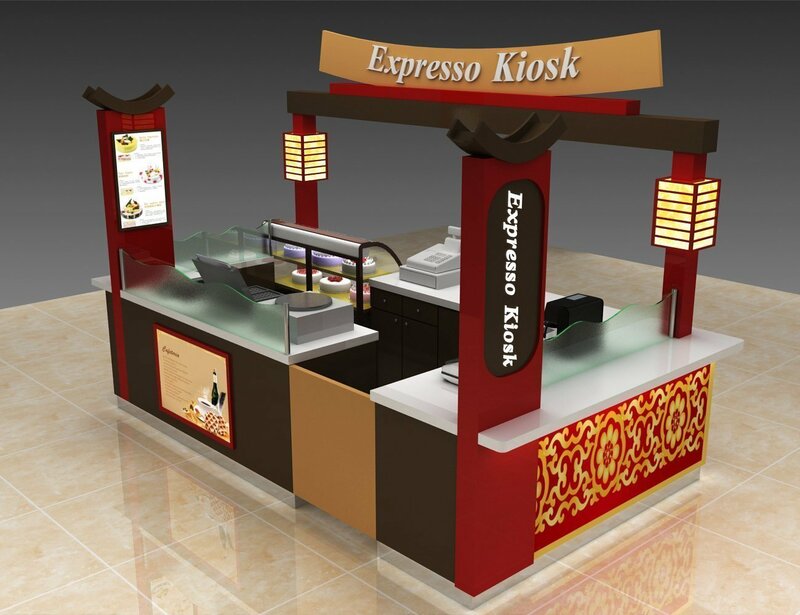 Are you looking for a low cost mall sushi bar kiosk with affordable price? Unique can provide you the right service . we located in Shenzhen , where has less labor cost and great source of materials. You can just sent us your ideas in mind. We will give the right design with best price on it. A unique concept will help a lot in business operating . 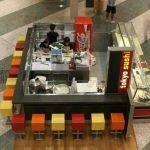 So what kind of mall kiosk design can be called as UNIQUE? A unique design must have the ability to attract customers. A unique design must combined with different elements . A unique design must be welcomed by everyone. With user friendly kiosk design . you can easy get relationship with your customer and keep longterm business. 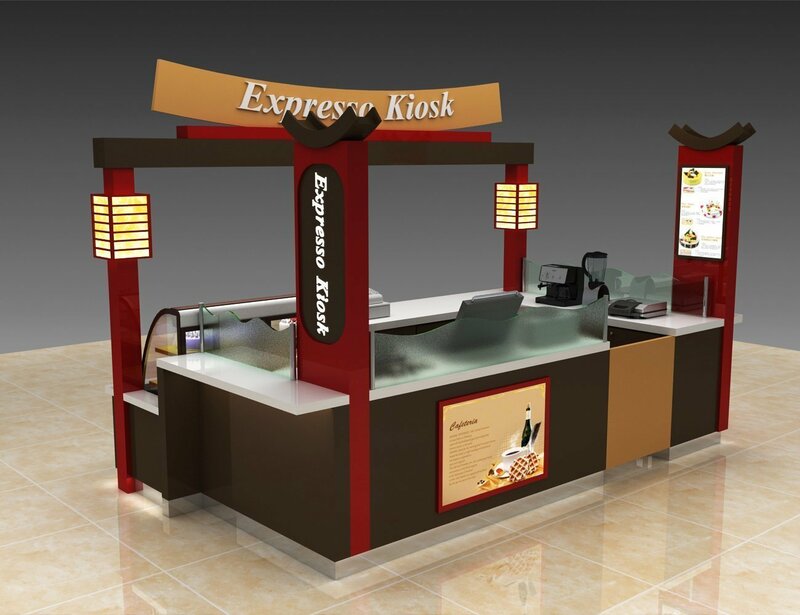 mall sushi counter features are mainly used in shopping malls, supermarkets, specialty stores, boutiques and other stores to display and store goods. With beautiful appearance, and strong display functions, you can highly advertising effect to achieve better profit purposes, to provide a better sales platform for brand products. All kinds of sushi cabinet companies can design and make exquisite and unique display cabinets for you.